The talks are in preparation for meetings between the leaders of North and South Korea next week. PALM BEACH, Fla. – President Trump said Tuesday that the U.S. and North Korea are holding direct talks at “extremely high levels” in preparation for a potential summit with dictator Kim Jong Un. “We have had direct talks at very high levels – extremely high levels – with North Korea,” Trump said. Kim’s offer for a summit was initially conveyed to Trump by South Korea last month, and the president accepted. U.S. officials have indicated over the past two weeks that North Korea’s government has communicated directly with Washington that it is ready to discuss its nuclear weapons program. The officials also said discussions between the two sides are being held in preparation for a summit. North Korea has long sought a peace treaty with the U.S. to formally end the 1950-53 Korean War. It is unusual for the North to seek to broach the issue directly with South Korea rather than with Washington itself. The armistice that ended the fighting was signed by the United Nations Command – the U.S.-led forces in the conflict – North Korea and China. South Korea was a member of the U.N. Command but was not a direct signatory. 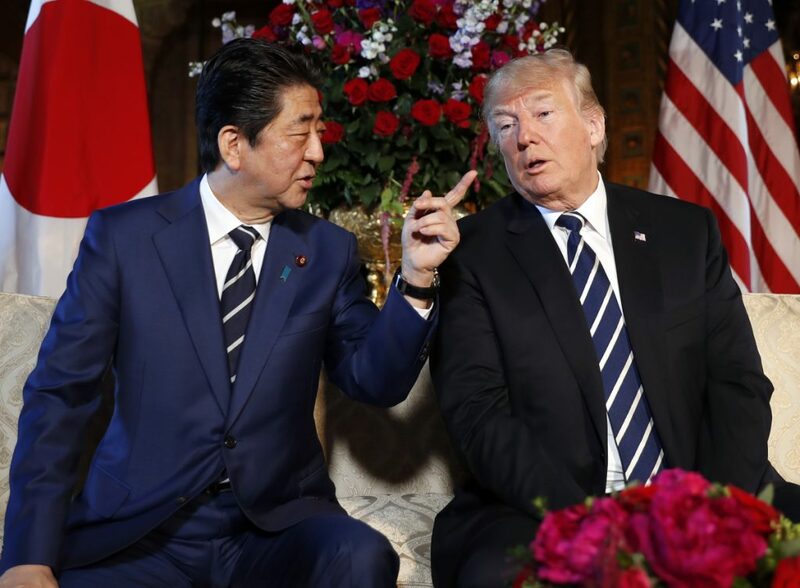 The first time Trump hosted Abe at Mar-a-Lago – shortly after the inauguration – North Korea conducted its first missile test of Trump’s administration, and the two delivered a joint statement denouncing the launch.